QNAP TS-EC1279U-SAS-RP 32TB 8 x 4TB HGST Ultrastar Enterprise Edition, 2U 12 Bay, Quad Core Intel Xeon E3-1245 v2 Processor 3.4 GHz, 8GB DDR3 ECC RAM, 10GbE capable. Includes 48hr Burn Testing ready to use out of the box. QNAP TS-EC1279U-SAS-RP, featuring the easy-to-use QTS 4.0 operating system, provides a reliable and scalable NAS solution to fulfill data backup, file synchronization and remote access. The TS-EC1279U-SAS-RP supports SAS hard drives delivering exceptional performance coupled with full duplex functionality, and supports cross-platform file sharing, comprehensive backup solutions, iSCSI and virtualization applications, and many practical business functions, making it the ideal choice for SMBs to secure important business data. 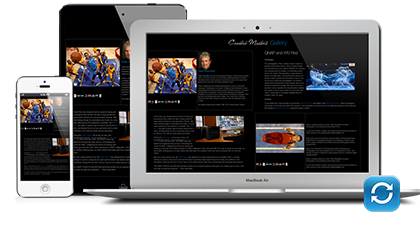 It also includes abundant multimedia applications backed by its powerful hardware specifications. The TS-EC1279U-SAS-RP supports SAS 6Gbps hard drives driving over 3,000 MB/s throughput and 400,000 IOPS*. Featuring with Intel® Xeon® 3.4GHz Quad Core Processor and 8GB DDR3 ECC RAM, the TS-EC1279U-SAS-RP greatly enhances efficiency of CPU-consuming tasks and serves more concurrent tasks at the same time. Thanks to QTS 4.0’s intuitive user interface, system operations of the TS-EC1279U-SAS-RP are smooth and handy. Its intelligent desktop allows you to find the desired functions quickly, create desktop shortcuts or group shortcuts, monitor important system information on a real-time basis, and open multiple application windows to run multiple tasks concurrently, bringing greater working efficiency. 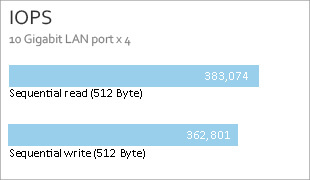 The TS-EC1279U-SAS-RP supports SSD caching which can greatly boost IOPS performance of storage volumes. It is perfect for improving overall workflow of IOPS demanding applications such as virtualization. 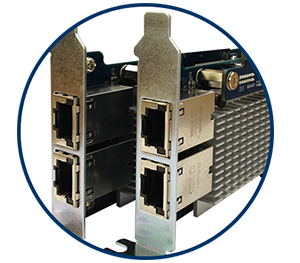 The TS-EC1279U-SAS-RP offers four inbuilt Gigabit Ethernet ports and supports 10 Gigabit high speed network by installing 10GbE network adapter. 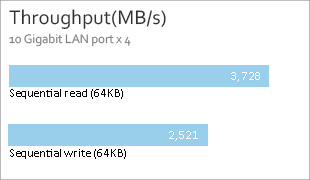 The 10GbE-reay TS-EC1279U-SAS-RP delivers lightening data throughput. Coupled with the support for large storage capacity, the TS-EC1279U-SAS-RP is perfect for data centers to storage big data and excel in fast data transmission, and for editing large size videos on-the-fly without transferring the videos between the TS-EC1279U-SAS-RP and desktop computers. The TS-EC1279U-SAS-RP supports online capacity expansion by cascading multiple RAID expansion enclosures to meet the needs of growing business data. 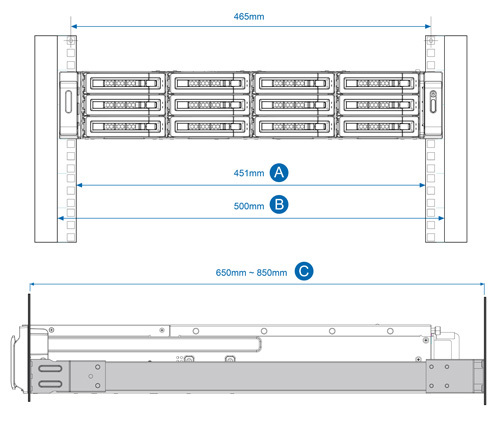 With the QNAP scale-up solution, raw storage capacity can be gradually expanded to 560TB. It is especially useful for large data applications, such as video surveillance, data archiving, and TV broadcast storage, to name few. The TS-EC1279U-SAS-RP supports SMB/CIFS, NFS, and AFP protocols for file sharing across Windows, Mac, Linux/UNIX networks. 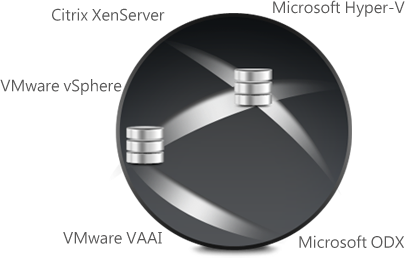 Data, logs and ISO image of CDs and DVDs can be centralized store in the NAS and protected by integrated antivirus solution. The Windows AD and LDAP services enable system administrators to configure user permissions by using existing Windows AD server, LDAP server or NAS build-in LDAP service. The TS-EC1279U-SAS-RP offers well-rounded backup solutions as a reliable backup center. 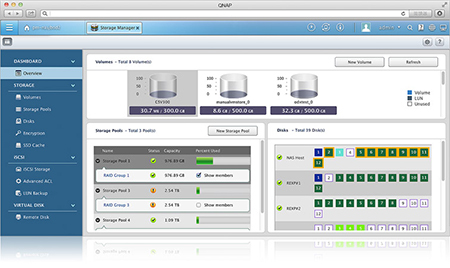 QNAP NetBak Replicator supports scheduled and real-time data backup on Windows OS. Mac Time Machine is also supported to provide Mac OS X users with an effortless solution to back up data to the TS-EC1279U-SAS-RP. The TS-EC1279U-SAS-RP offers various data recovery options. 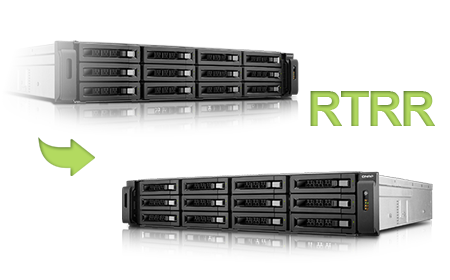 RTRR (Real-Time Remote Replication) supports real time or scheduled data backup to a remote Turbo NAS or FTP server and synchronizes files to a remote folder from a local folder with better backup efficiency and reduced backup time. The TS-EC1279U-SAS-RP also supports rsync protocol to back up data to another remote server on scheduling basis. Besides, data can be backed up to cloud storage, such as Amazon® S3, ElephantDrive®, Symform®, Dropbox® and Google® Drive, and restored to the TS-EC1279U-SAS-RP anytime. In the open network environment, business data might be exposed in potential hack. The TS-EC1279U-SAS-RP provides numerous security options, such as encrypted access, IP blocking, and so on. Besides, IT administrators can control the access rights of each user to different folders, preventing unauthorized access to important files. The TS-EC1279U-SAS-RP is validated with military level FIPS 140-2 AES 256-bit encryption, preventing the sensitive business data from unauthorized access and breach even if the hard disk drives or the entire system were stolen. The TS-EC1279U-SAS-RP is VMware® Ready™, Citrix® Ready™, compatible with Microsoft® Hyper-V™ certification and Windows Server 2012, benefiting flexible deployment and management in the virtualization environments. The TS-EC1279U-SAS-RP supports VMware VAAI and Microsoft ODX to increase performance by offloading ESXi server loading, and supports QNAP vSphere Client plug-in and QNAP SMI-S provider with enhanced efficiency of operations and management in virtualization applications. Digital film and video production produces volumes of data that require high performance RAID storage with sustainable throughput to balance with the demanding output of video editing. The TS-EC1279U-SAS-RP fulfills storage and video editing needs with a high speed 10GbE network interface. Digital videos can be quickly stored and edited on the TS-EC1279U-SAS-RP directly over the network. While medical data (e.g ePHI) constantly increases, IT administrators are required to develop a strategy of strong storage platforms within their medical organizations. 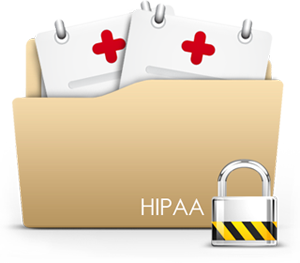 The TS-EC1279U-SAS-RP meets the electronic requirements of HIPAA for storing PHI data by providing a base to protect the confidentiality and security of “individually identifiable health information”. Feel Dropbox short of storage to satisfy your needs? The Qsync utility turns your TS-EC1279U-SAS-RP into a safe data center for file synchronization with large storage capacity. Any file uploaded to the TS-EC1279U-SAS-RP will be made available for all linked devices, such as computers, laptops or mobile devices. 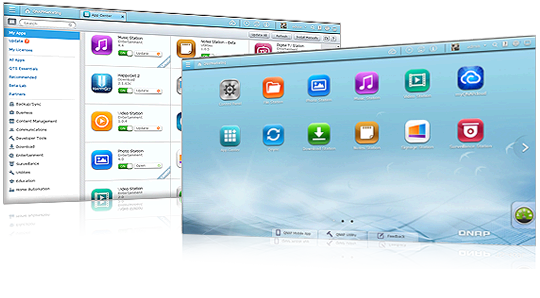 Qsync is especially useful for frequent travelers to manage files and always have the most updated files on different devices. 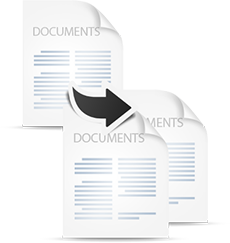 Qsync provides multiple ways of file synchronization and group file sharing, greatly enhancing the flexibility of collaboration. The TS-EC1279U-SAS-RP Surveillance Station Pro offers a professional surveillance solution with the user-friendly NVR (network video recorder) management interface, a wide range of over 1,200 compatible IP camera models, and expandable IP camera channel licenses. 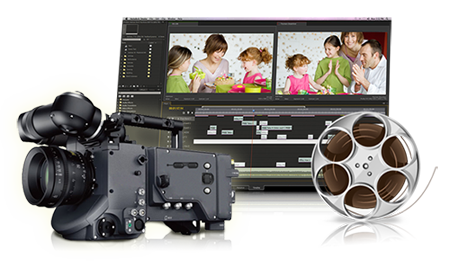 It supports real-time monitoring, video and audio recording and playback with flexible options to customize. 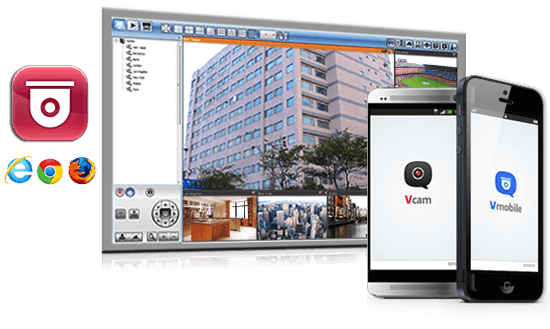 You can also install the VMobile app on your iOS® or Android™ mobile devices to manage the monitoring channels anytime and anywhere, and safeguard your office environment. The TS-EC1279U-SAS-RP supports various business applications as an all-in-one Turbo NAS with cost-efficiency.